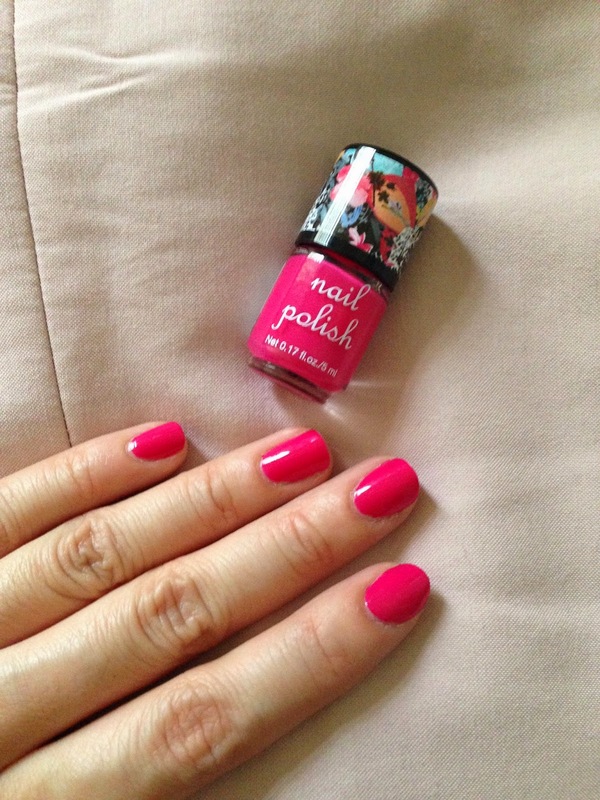 Hot pink seems to be on everyone's nail at the moment. 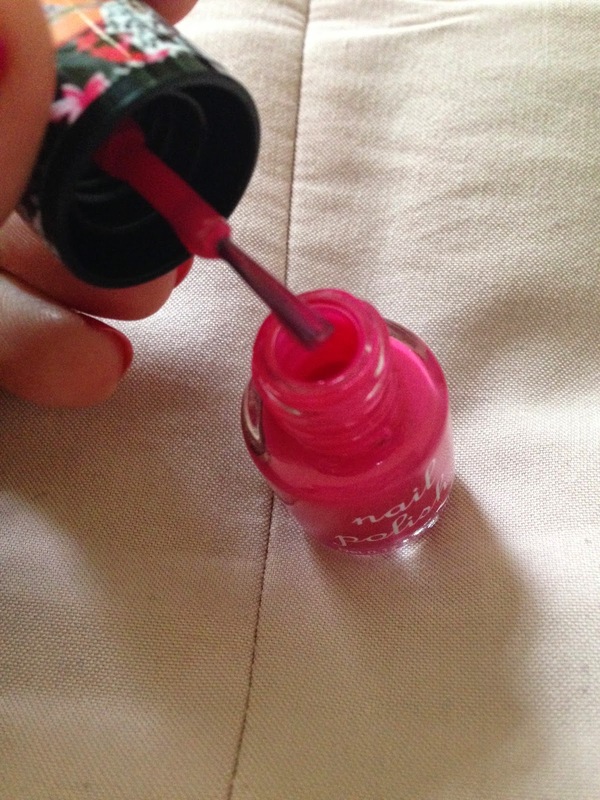 And I think I have found my favourite shade of hot pink... Not from Essie or Nails Inc nor OPI, but in H&M!! I accidentally found this beautiful hot pink in H&M. The shade is Paradise Flower. Just a small bottle, 5ml, but it's perfect size for a seasonal pop f colour. A mini brush is expected in a mini bottle like this. 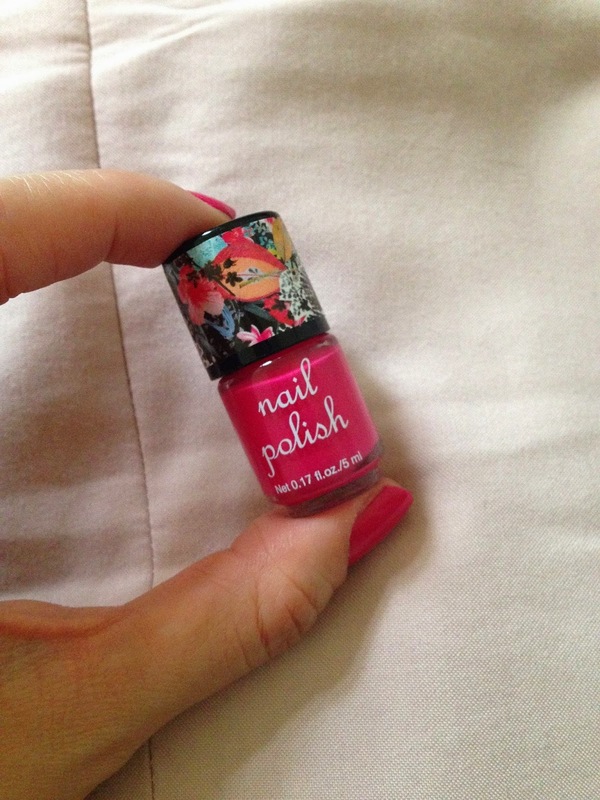 The colour is vibrant and the formula is surprisingly smooth and creamy!! 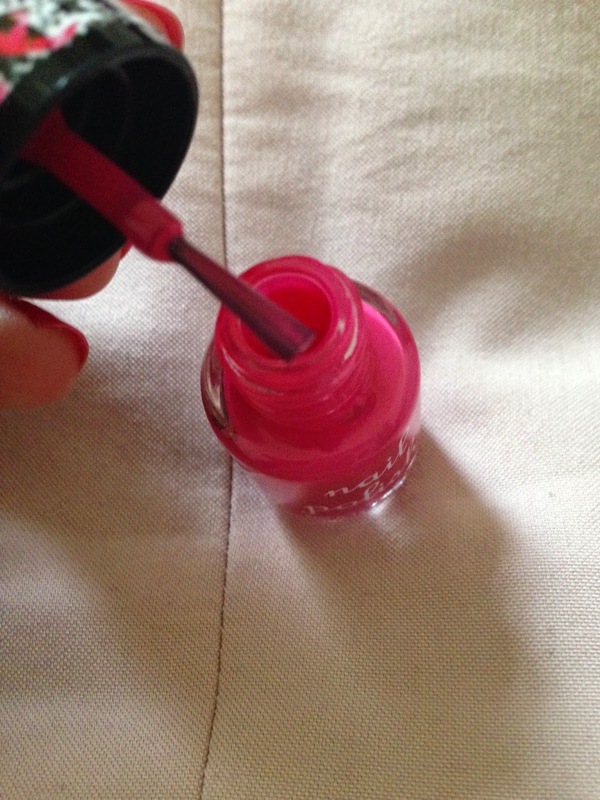 Two coats will get an opaque finish, with a good base coat & top coat, the colour lasts on my nails for 3-4 days!!! And the best part - the price!!! It's only 99p!!!! !